A senior Hamas military delegation visited Cairo in an attempt to reach security understandings and open the Rafah border crossing. Hamas deputy head Ismail Haniyeh announced that Hamas has opened a new chapter in its relations with Egypt after a number of years of tension since the Muslim Brotherhood leadership was overthrown by al Sisi. 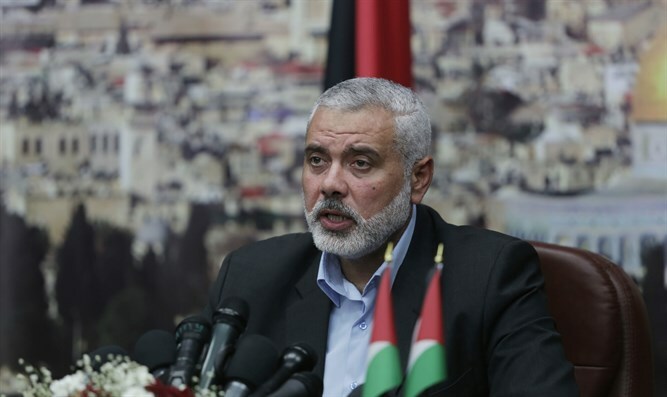 Haniyeh stated that Hamas is interested in close relations with Egypt and intends to remove all of the security factors which have caused a sense of suspicion in the Egyptian leadership. Haniyeh visited Cairo recently for talks with Egyptian leaders and, after these contacts, a senior Hamas military delegation also visited Egypt. Egypt is interested in co-opting Hamas to help fight the radical Islamic movements active in the Sinai peninsula which are identified with ISIS. Over the last few years the Egyptians accused Hamas of encouraging terror in Egypt and aiding ISIS. A number of reports stated that Hamas operatives defected to ISIS, which has growing support in the Gaza strip. Hamas's major interest is to open the Rafah border crossing, which will enable the strengthening of its economy and will also aid the rearmament and strengthening of its military capabilities.